Hearts Desire is a simple series incorporating textured hearts, this one is a timeless classic that will go with anything! 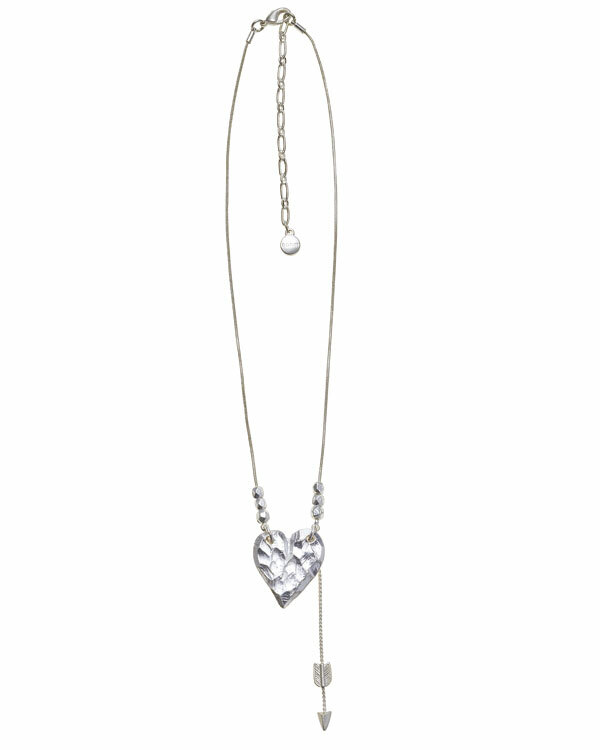 Beautiful pendant necklace, the pendant features a textured heart and a cascading 'arrow'. The heart measures 2.7cm/27mm, front drop measures 7cm/2.75 inches. The chain, a fluid style snake chain (1mm) is decorated with some faceted silver beads. Length 16 inches/40.5cm to an adjustable 19 inches/48.5cm. Silver plate. 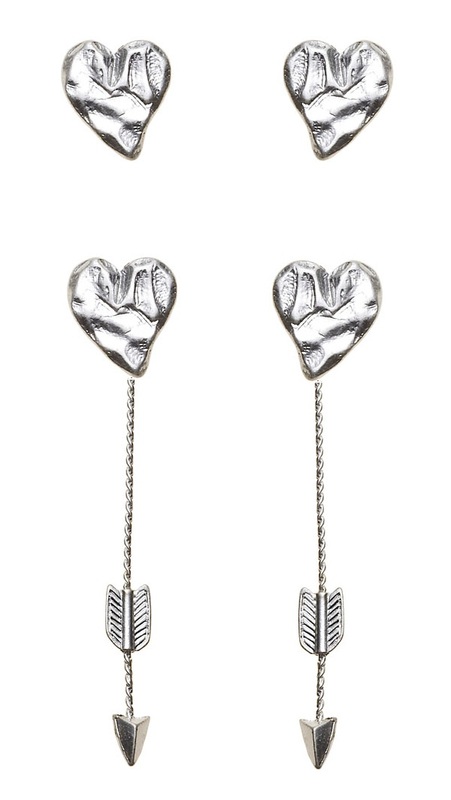 Beautiful single heart earrings. The textured hearts measure 2cm/20mm. Total Length 3cm/30mm. Hook style for pierced ears. The earring wires have tiny hearts decorating the front ends. Gold plate. 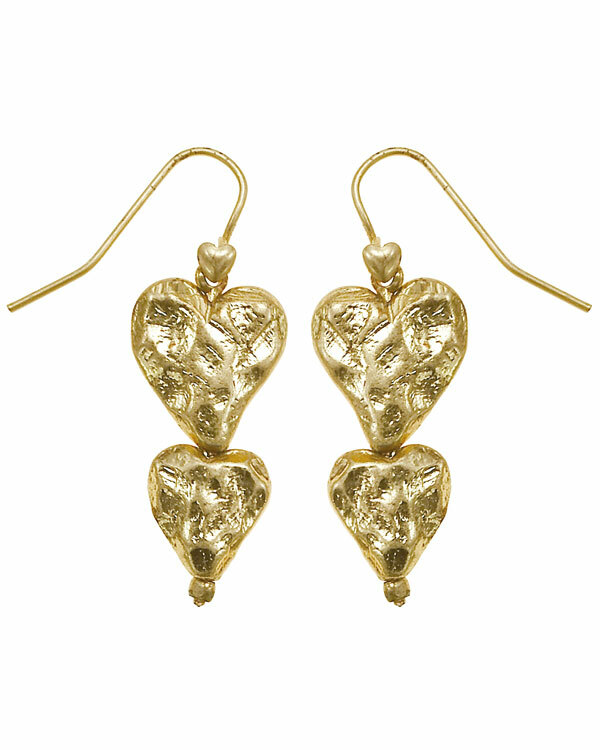 Beautiful double heart earrings. 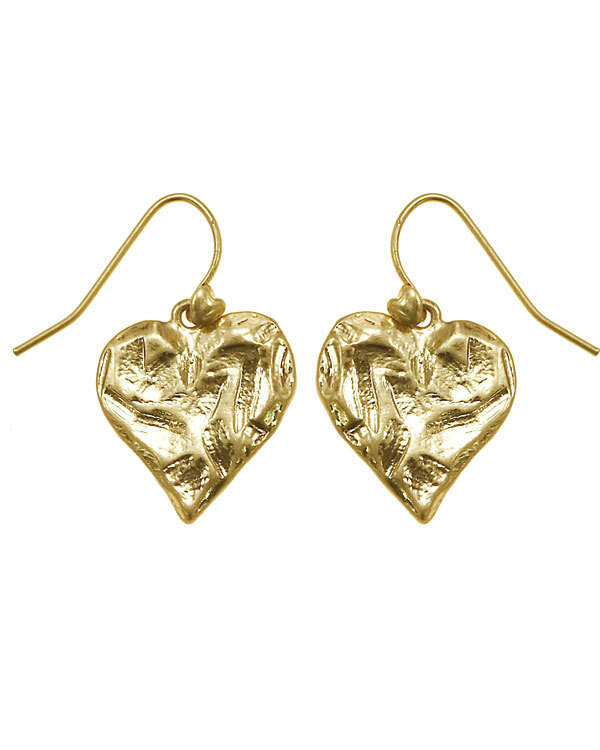 The textured hearts measure 1.5cm/15mm and 1cm/10mm. Total Length 4cm/40mm. Hook style for pierced ears. The earring wires have tiny hearts decorating the front ends. Silver plate. 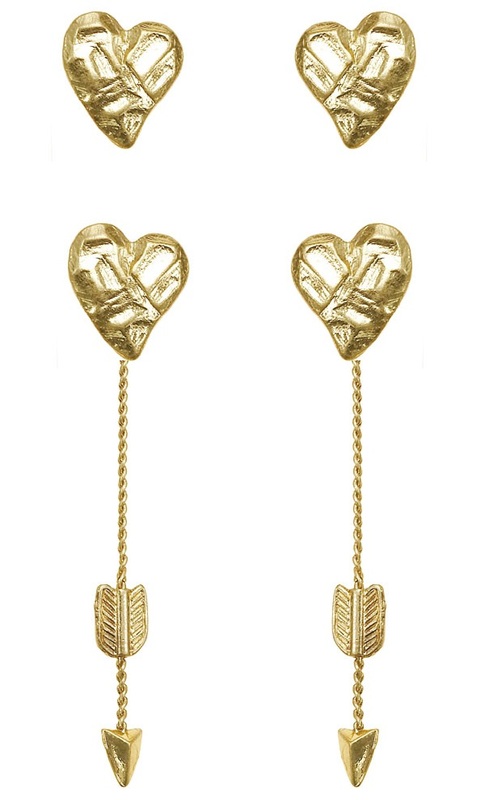 Beautiful double heart earrings. 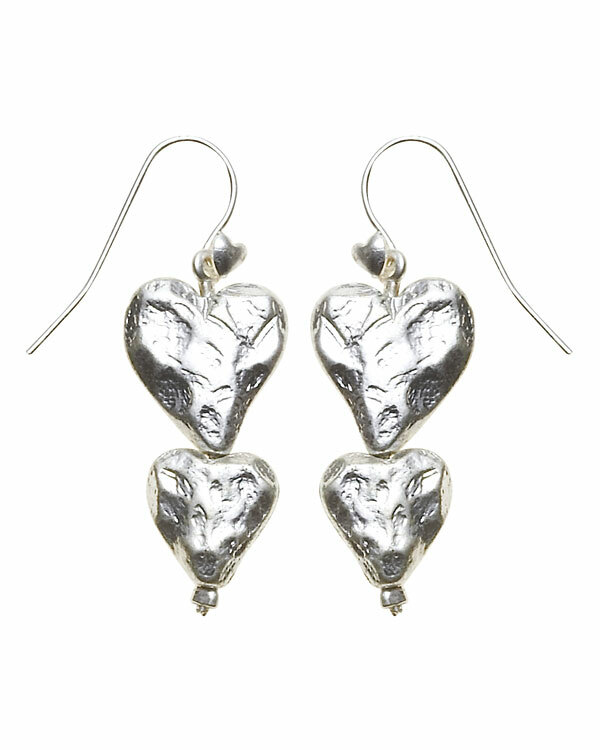 The textured hearts measure 1.5cm/15mm and 1cm/10mm. Total Length 4cm/40mm. Hook style for pierced ears. The earring wires have tiny hearts decorating the front ends. Gold plate. 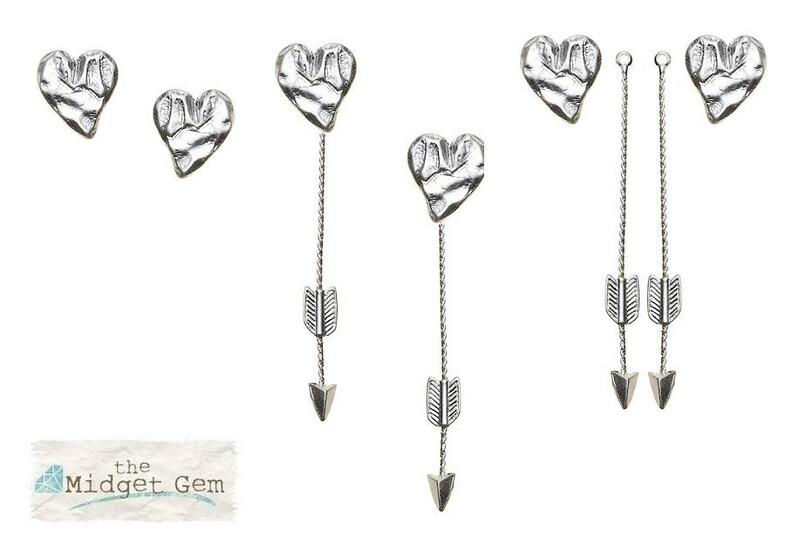 Beautiful heart and arrow earrings. These can be worn in two ways! Either as studs OR dangly earrings. The textured hearts measure 1.5cm/15mm and 1cm/10mm. Total Length 6.5cm/65mm. Stud style with a bullet back. For pierced ears. Silver plate. The textured hearts measure 1.5cm/15mm and 1cm/10mm. Total Length 6.5cm/65mm. Stud style with a bullet back. For pierced ears. Gold plate. 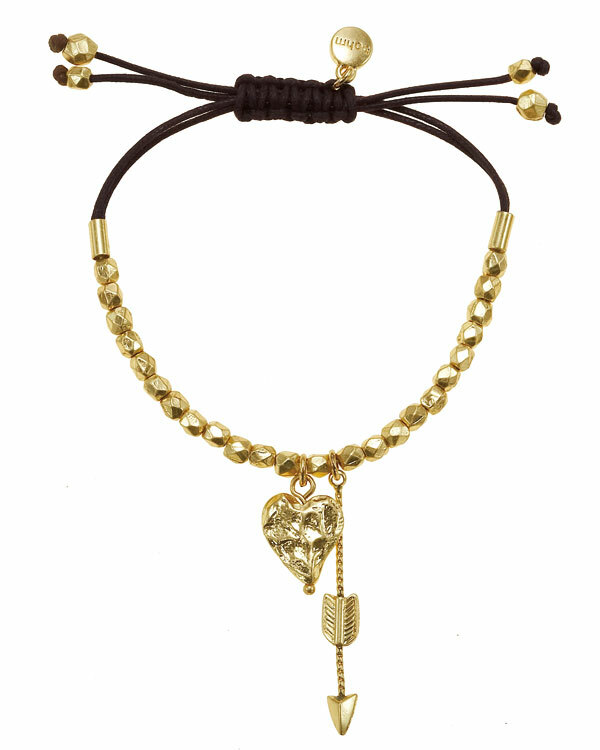 Beautiful heart and arrow charm bracelet. The bracelet combines cotton cords with faceted beads. It is adjustable. 5 inches/12.5cm up to 9 inches/22cm. The textured heart measures 1.5cm/15mm. Brown cord/Gold plate. 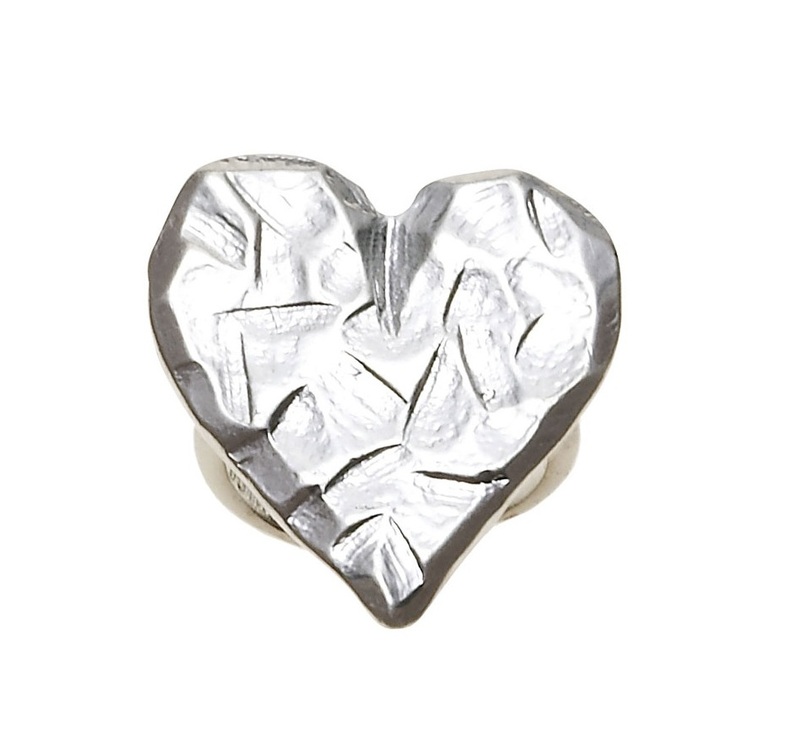 Textured heart motif adjustable ring. Heart measures 2.9cm/29mm longest point. The ring band measures 3mm and this adjusts. Gold plate. 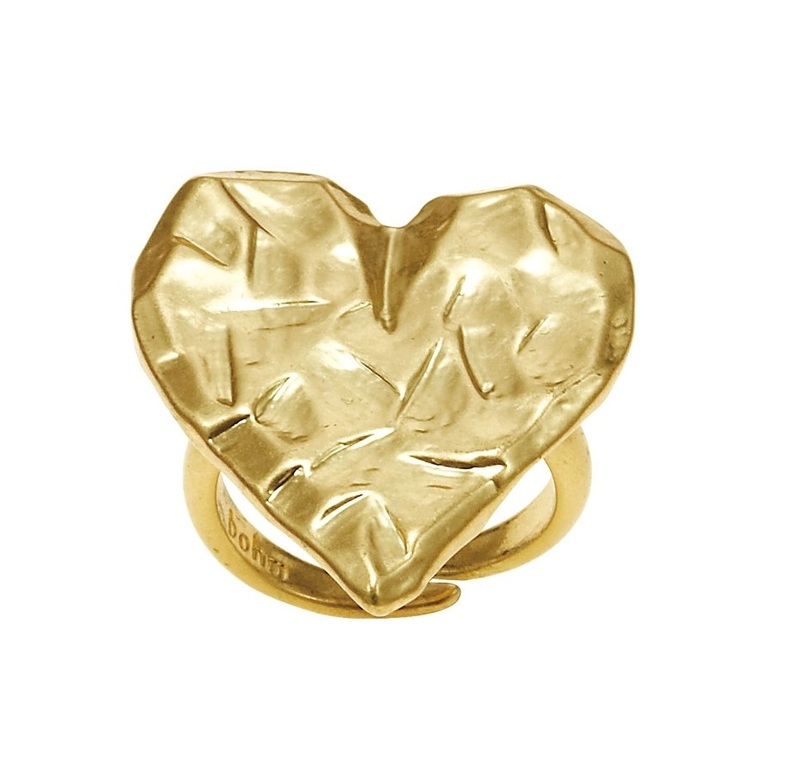 Textured heart motif adjustable ring. Heart measures 2.9cm/29mm longest point. The ring band measures 3mm and this adjusts. Silver plate.